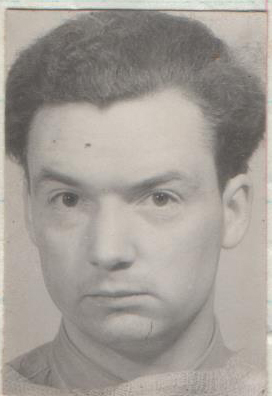 Ronald Marsden was born in Redcar, Yorkshire, in 1920, one of the five children of William and Emily Marsden. He went to school in Stockton and joined the RAF in 1935 as an apprentice at the School of Technical Training in Halton. He then served in ground crew in a number of establishments. In 1942, a policy change meant that a new trade of flight engineers was established to fly in heavy bombers instead of second pilots, and Marsden was quick to apply for the specialist training at No 4 School of Technical Training in St Athans, Glamorgan. He qualified as a flight engineer in September 1942, and was posted to a conversion unit to join a crew. It would seem that he met up with Bill Ottley, Thomas Johnston, Jack Guterman and Fred Tees there, as they were all posted together to 207 Squadron from 1660 Conversion Unit on 12 November 1942. Their future crewmates Harry Strange and Jack Barrett were also posted from the same conversion unit to 207 Squadron within a few days. Marsden went on to fly with Ottley on all the 20 operations he completed in 207 Squadron, so he is unlikely to have hesitated when offered a posting to the new 617 Squadron. Unfortunately, the crew did not complete their first operation, and six of them died when they were shot down near Hamm on 17 May 1943. Ronald Marsden and his comrades were originally buried in by the Germans in Hamm, but were reinterred after the war in Reichswald Forest War Cemetery. And to think another one of my heroes was trained at RAF Halton,15 minutes away from me. My Dad, Fred Morgans was a close friend of Ron’s. They both joined RAF Halton on 27.08.35, he & Dad were posted to West Wing Halton for the 3 years of their apprenticeship. When Ron transferred to flight engineer training Dad was in 117 Squadron. Thank-you for this information. Ron was my uncle (one of my Dad’s two younger brothers). Ron was much missed. I don’t know much about Ron’s friends, so it was lovely to read your post.